A pivotal moment in efforts to tackle the current rhino poaching crisis took place today as the governments of South Africa and Viet Nam signed a Memorandum of Understanding to improve co-operation between the two states on biodiversity conservation and protection including tackling illegal wildlife trafficking. Ha Noi, Viet Nam, 10th December — A pivotal moment in efforts to tackle the current rhino poaching crisis took place today as the governments of South Africa and Viet Nam signed a Memorandum of Understanding to improve co-operation between the two states on biodiversity conservation and protection including tackling illegal wildlife trafficking. The Memorandum of Understanding (MoU) was signed by H.E. Edna Molewa, Minister for the South African Department of Water and Environmental Affairs and H.E. Cao Duc Phat, Minister of Agriculture and Rural Development, Viet Nam during a visit by Minister Molewa to Viet Nam. The main elements of co-operation outlined in the MoU include the field of biodiversity management, conservation, protection, law enforcement, compliance with CITES and other relevant legislation and Conventions. 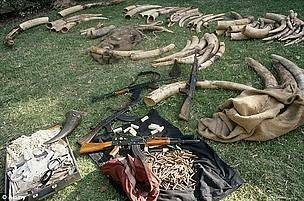 Based on equality and mutual benefit it comes into force on the date of signature and notes specifically that illegal wildlife trafficking remains a global challenge. Speaking at the signing ceremony, H.E. Edna Molewa said: “South Africa is looking forward to receiving the close co-operation from Vietnamese partners to stop the illegal trade of rhino horns from South Africa to Vietnam." Although the MoU between South Africa and Viet Nam refers only in general terms to addressing illegal wildlife smuggling, there are clear indications that rhino horn trafficking will be top of the new agenda on co-operation between the two nations. “WWF and TRAFFIC welcome the new agreement, which marks a turning point in efforts to protect Africa’s rhinos and look forward to seeing action being undertaken by both countries to end the current rhino poaching crisis,” said Stuart Chapman, WWF-Greater Mekong Conservation Director. “South Africa and Viet Nam have publicly signalled their intention to get tough on the criminal syndicates behind the rhino poaching spree,” said Chapman. Currently hundreds of rhinos are being poached each year in South Africa, their horns hacked off and smuggled to meet the soaring demand in Viet Nam, where rhino horn is in demand as a supposed “miracle medicine”, despite a lack of supporting medical evidence. 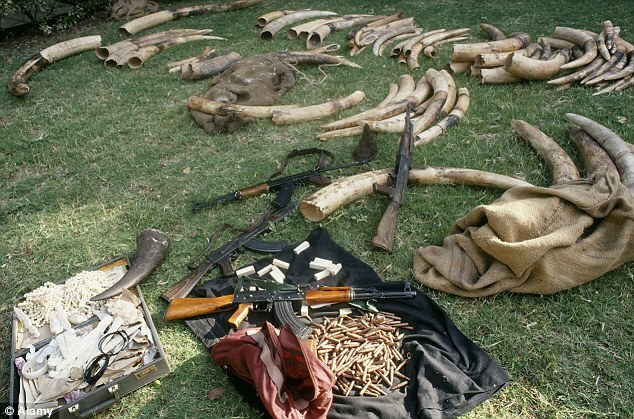 Asian-run criminal syndicates are believed to be behind much of the crime, with couriers paid to smuggle poached horns from Africa to Asia, where they end up in the hands of wealthy Vietnamese. 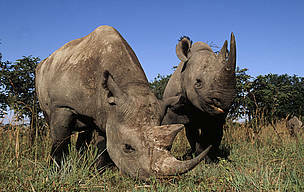 TRAFFIC’s report released in August 2012 identified Viet Nam as the prime destination for much of the illegal rhino horn. Rhino poaching numbers in South Africa have surged from 13 in 2007, to over 600 in 2012. In addition, there have been 246 people arrested in connection with the poaching of rhinos and the illegal trade of rhino horn in South Africa in 2012 alone. In 2010, TRAFFIC convened a meeting between South African enforcement officials and their counterparts in Viet Nam to establish links between the two as part of a major effort to address the rhino horn crisis. This meeting and a subsequent return visit by Vietnamese officials to South Africa, laid the foundation for today’s intergovernmental agreement. “Rhino poaching is a key burning conservation issue, and through the public commitments of the two governments at this signing ceremony today, we have seen promising beginnings of collaborative action. This commitment now needs to be turned into urgent action to turn the crisis around,” said Dr. Naomi Doak, Coordinator of TRAFFIC Southeast Asia–Greater Mekong Programme. “The world’s rhino populations are hanging by a thread, and today the opportunity was taken to throw them another lifeline,” said Dr. Doak. WWF and its partner TRAFFIC, the wildlife monitoring network, are campaigning for greater protection of threatened species such as rhinos, tigers and elephants. In order to save endangered animals, source, transit and demand countries must all improve co-operation, law enforcement, customs controls and judicial systems. WWF and TRAFFIC are also urging governments to undertake demand reduction efforts to curb the use of endangered species products. WWF is one of the world's largest and most respected independent conservation organisations, with more than 5 million supporters and a global network active in over 100 countries. WWF's mission is to stop the degradation of the Earth's natural environment and to build a future in which humans live in harmony with nature, by conserving the world's biological diversity, ensuring that the use of renewable natural resources is sustainable, and promoting the reduction of pollution and wasteful consumption. South Africa has lost over 600 rhinos to poachers since the beginning of 2012.